Shane Watson was absolutely immense for CSK last season. Since the inaugural edition in 2008, Chennai Super Kings have been one of the most successful teams in every edition of the IPL. After the ban for 2 years elapsed, CSK returned in 2018 and became the champions of the IPL for a record 3rd time. CSK had won 9 matches and lost 5 in the league stage. In the playoff stage, they defeated Sunrisers Hyderabad twice to become champions. At the 2019 auction, CSK decided to retain most of their core players, including Mitchell Santner, who had missed the entire previous season due to an injury. At this year's auction, CSK bought Mohit Sharma and, Ruturaj Gaikwad. The franchise decided to release only 3 players, namely Mark Wood, Kanishk Seth, and Kshitiz Sharma. Chennai Super Kings will begin IPL 2019 with a blockbuster encounter against Royal Challengers Bangalore on 23rd March at M Chidambaram Stadium in Chennai. CSK would look for all their players come good again in IPL 2019 and to win their 4th title. Here we look at the 5 key players for CSK. 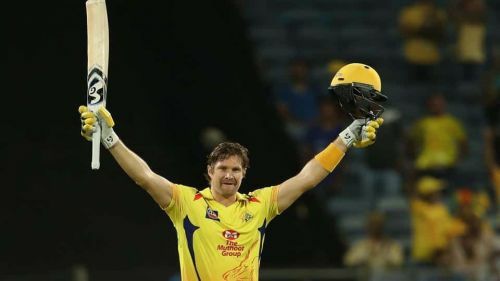 Shane Watson scored a century against Rajasthan Royals in Pune. Australian all-rounder Shane Watson was purchased by CSK for ₹4 Crore. Watson had scored 555 runs from 15 innings with 2-half centuries and 2 centuries in IPL 2018. 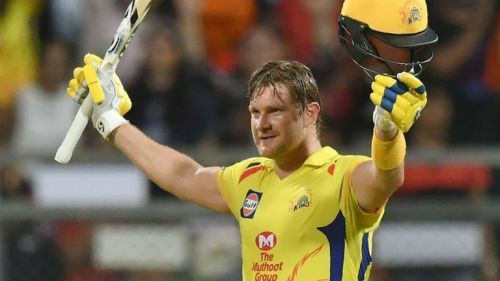 In the 17th match of 2018 edition of the IPL against the Rajasthan Royals, Watson scored an attacking 106 off 57 balls. His brilliance took Chennai Super Kings to 204 for 5 from 20 overs. The Royals were bowled out for 140. Watson's century earned him the man of match award. He then scored 117* off 57 balls in the finals against Sunrisers Hyderabad. The Sunrisers were asked to bat first and posted 178 for 6 in 20 overs. Watson rose to the occasion and scored a brilliant century to help CSK win the title with 9 balls to spare. He was named as man of the match. With his 4th IPL century in the finals, he equaled Virat Kohli's tally in 2018 for number of centuries in the IPL. In IPL 2018, he had bowled 28 overs in 15 matches taking 6 wickets. CSK will be looking forward to his all-round performance and the audience would be cheering for him.